PDF is the central data format when dealing with digital documents. However in operational practice not all possibilities of PDF files are offered, supported, or used (sometimes for a long time), because of lack of awareness, among other things. Especially the fact that PDF files can contain other files is a characteristic that could be interesting for many companies. Since Adobe Acrobat X exists the usage of such imbedded files is even pushed by Adobe. Machine and plant manufacturers manage their documents for construction, manufacturing, parts procurement, and servicing of their products in PLM Systems. The respective documents are saved there in a suitable form. Each customer documentation, spare parts catalog, assembly instructions, etc. are made based on these structures. The necessary documents from the PLM System are copied, compiled, and formatted in a clear consistent layout. PDF is especially suitable for digital file composition. Interactive bookmarks and table of contents can be created directly from the structures of the PLM Systems and linked with the partial documents. What should happen for example by a compilation of a PDF based customer documentation, if one has to insert…. 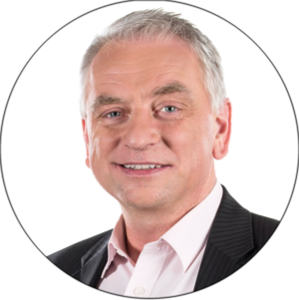 … into the electronic documentation during the documentation process but without losing special features? you have linked files (e.g. Word contains an imbedded Excel spreadsheet), which should be still possible to edit in the entire documentation? What should you do if for some types of files there is no possibility to convert to PDF available? New (so called structured) PDF types offer for these challenges technical editors for ideal functionality and can be used in the automated documentation generation! 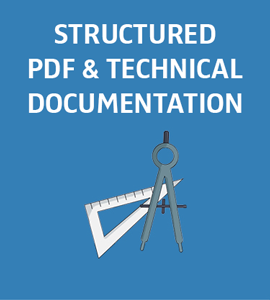 Which types of structured PDFs there are, what they can do and how you can use them to their full capability you can learn about in our white-paper: Benefits of feature-rich PDF types in technical documentation.